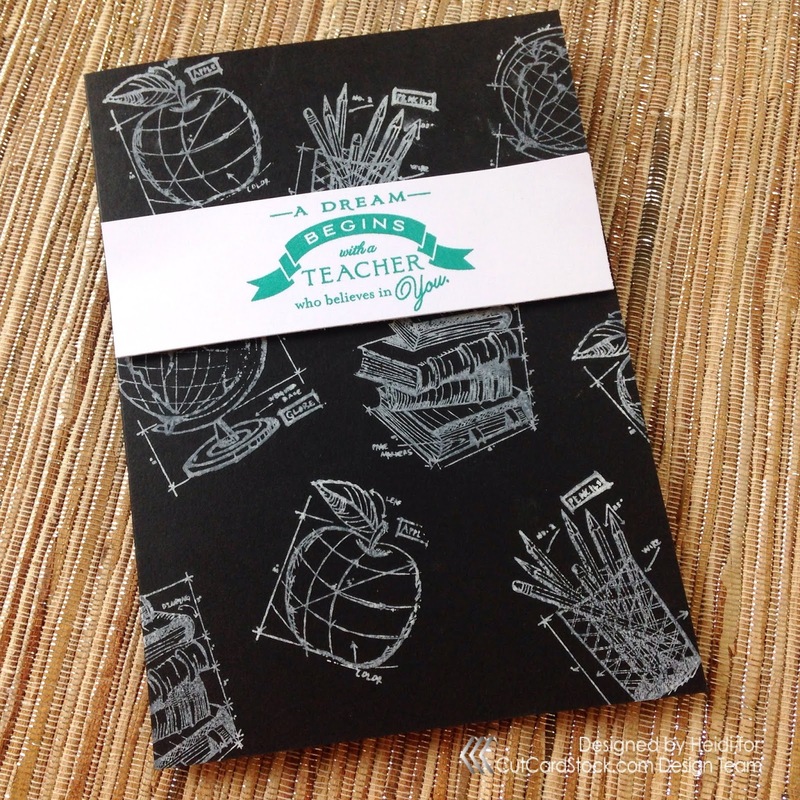 As the school year comes to an end, it's nice to send some good cheer to our hard-working teachers. 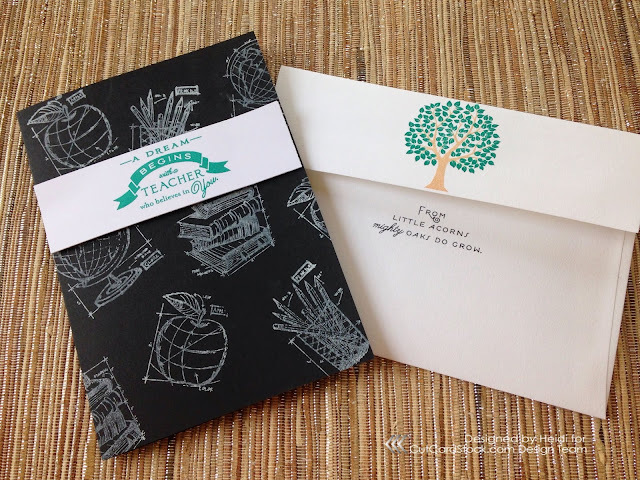 My project today, features a card with a coordinating envelope that is perfect to pair with those end of the year mugs and gift cards. 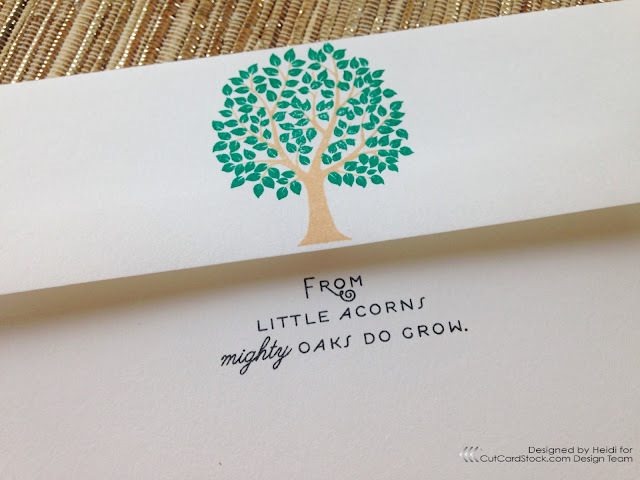 I started off with a 5x7" notecard created with Basis Cardstock in black and placed it on my stamp platform. 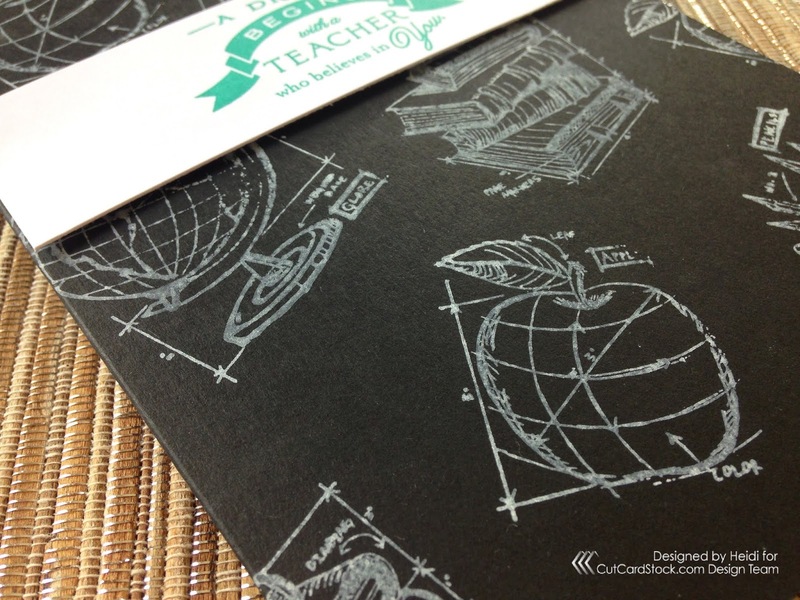 I had some school-themed Tim Holtz Blueprint stamps and decided to make a background with them using white pigment ink. This gives kind of a chalkboard look that's great for the teacher theme.